Dr. 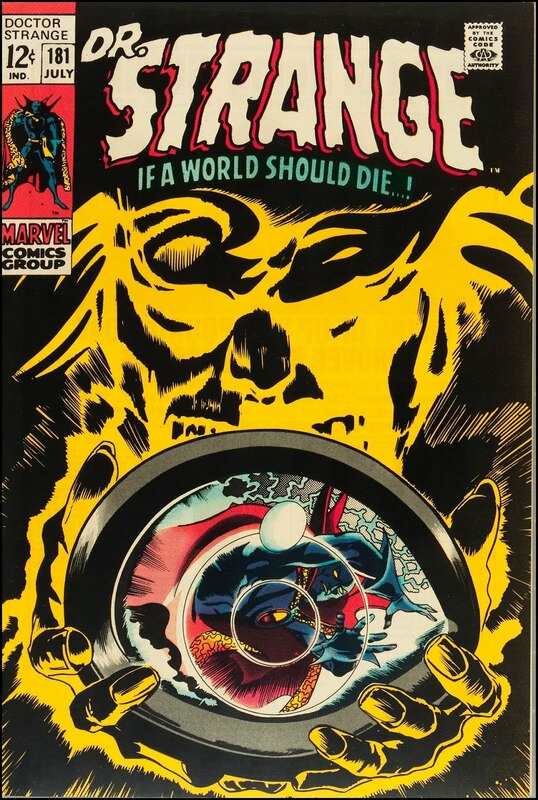 Strange began his own title picking up with issue 169 of what was Strange Tales. 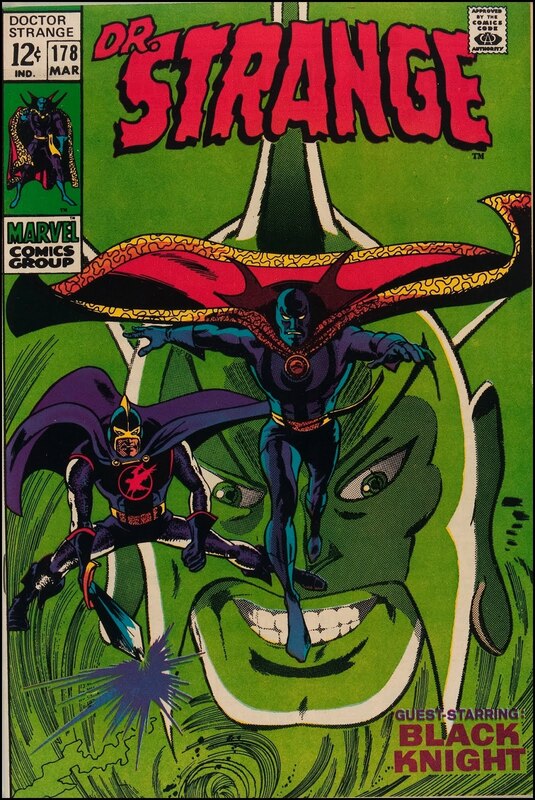 It continued (complete with an ill-advised costume change) through issue 183, cover dated November 1969. 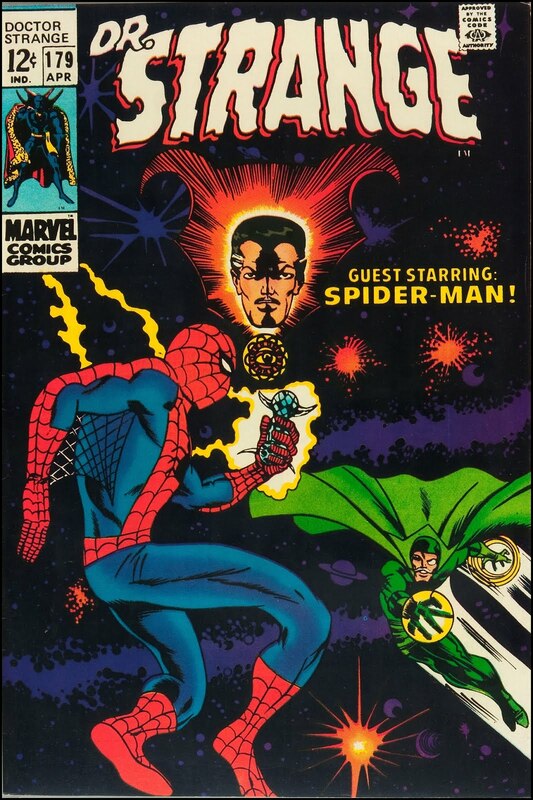 He would later get his title again, beginning this time with issue #1 in June 1974. 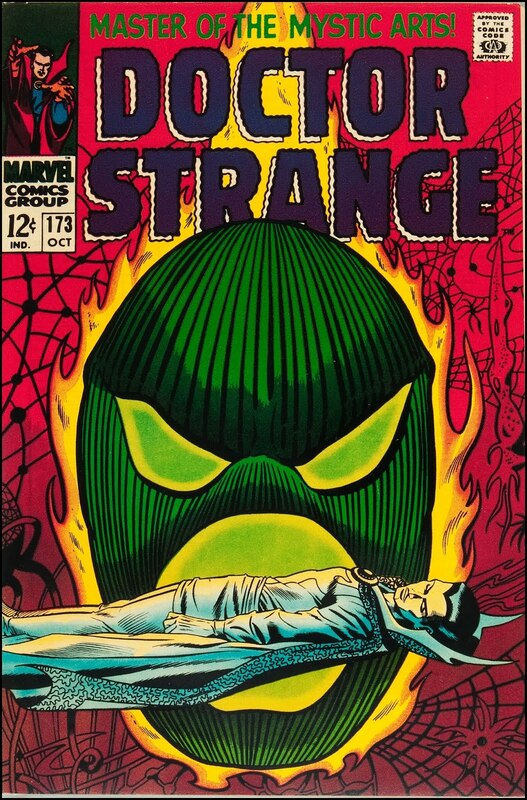 Here's a few of the more interesting cover from his first run. Dr. Strange #173, October 1968. Cover by Dan Adkins. Dr. Strange #178, March 1969. 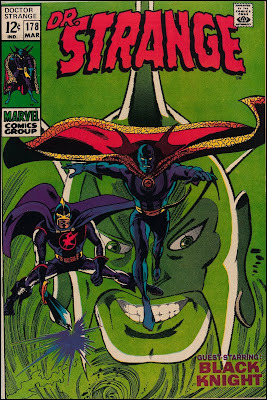 Cover by Gene Colan. Dr. Strange #179, April 1969. Cover by Barry Windsor Smith. Dr. Strange #180, May 1969. 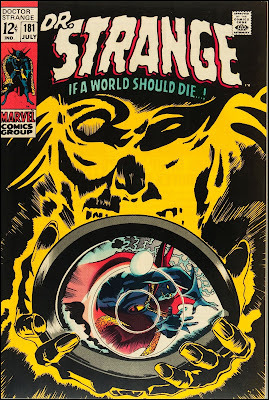 Cover by Gene Colan. Dr. Strange #181, July 1969. Cover by Gene Colan. Love it. That Windsor Smith one in particular is great. Thanks for keeping my eyes (and brain) entertained. That IS Smith, isn't it? Hadn't looked that closely at it in years but I remember presuming it to be jack with all of that Kirby Krackle! Oh, and issue 180 is not JUST Gene Colan. 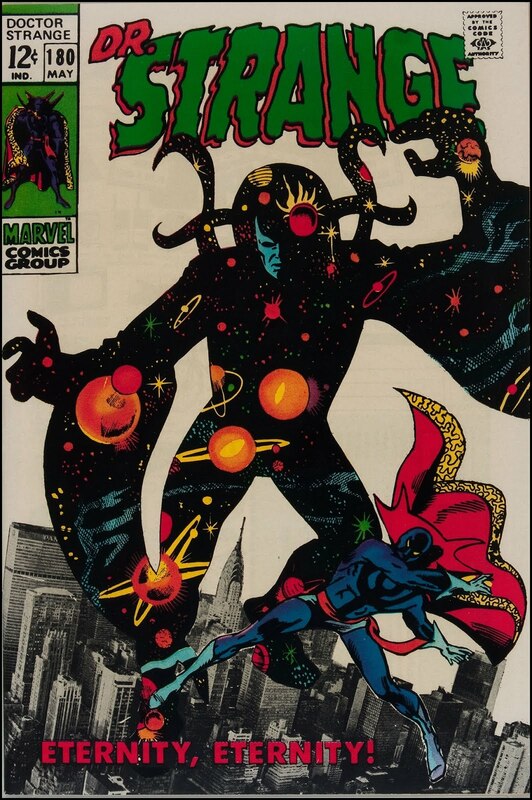 The Eternity figure is a cut and paste from a 1966 Ditko story. 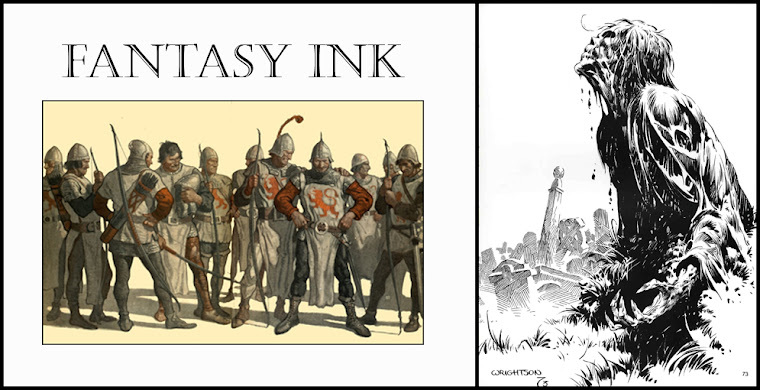 The Barry Smith effort is a real good example of his early Kirby phase. He seemed really to enjoy his work. I didn't realize that was a Ditko paste up. I thought Gene redrew it. Learn something new about comics I've had for over forty years every stinking day. Wow! Merry Christmas from Batman and Robin!